This is a pack of two ceramic 5x12x4mm rubber sealed "Speed" ball bearings. 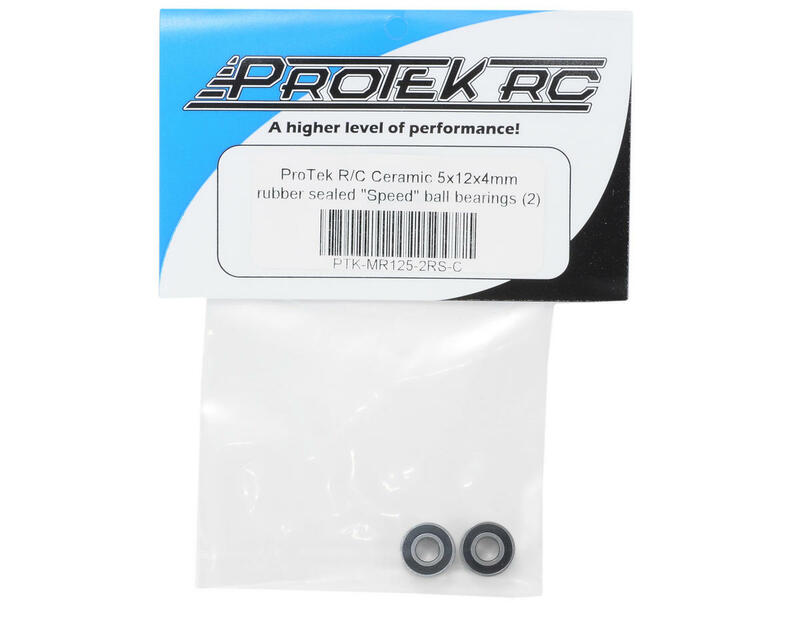 ProTek R/C "Speed" bearings are high performance ceramic bearings designed for the R/C racing enthusiast. Our ProTek Ceramic Bearings are a hybrid type, featuring Chrome Steel inner and outer races, with Si3N4 silicone nitride ceramic balls. Ceramic bearings have many advantages over standard steel bearings, such as decreased weight, higher RPM capabilities, increased corrosion and wear resistance, as well as reduced friction and vibration. So next time you purchase bearings, when you ask yourself "Why should I buy Ceramic?" You should be asking yourself "Why shouldn't I?" Lightweight: The weight of ceramics is 60% lighter than steel, which decreases the centrifugal force and the overall bearing weight. Long Service Life: The service life of hybrid bearings is 3 to 5 times longer than that of steel bearings in comparable working conditions. Self Lubricating: Even when poorly lubricated or with no lubrication, ceramic bearings will continue to function longer than steel bearings under the same level of stress due to their self lubricating properties. High Rigidity: The elastic ration of ceramics is 1.5 times greater than that of bearing steel, this dramatically increases the rigidity of the bearing. Wear Resistant: The micro-hardness of ceramics can reach a Vickers Hardness level of HV1700 kg/mm2, which dramatically increases the wear-resistance. 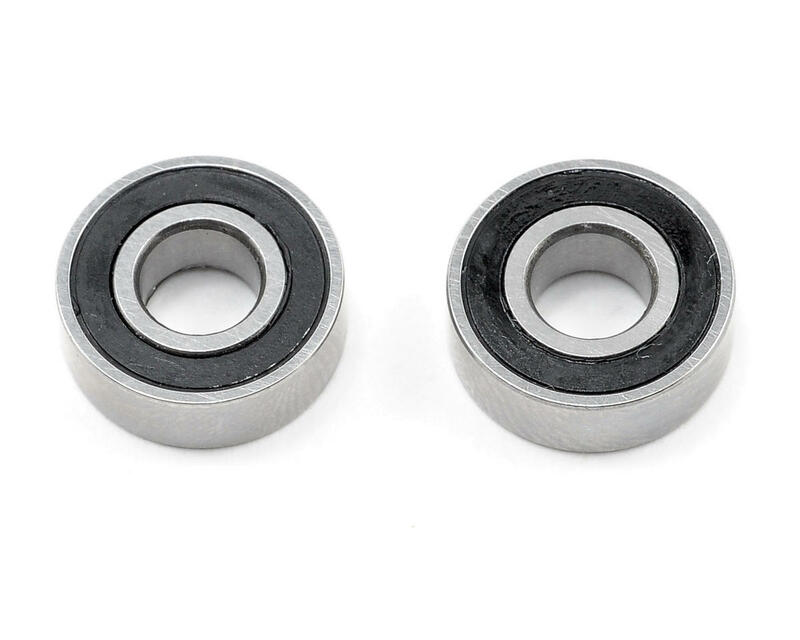 Note: It is important with ceramic bearings to ensure that the bearings are properly shimmed (do not shim them too tight), and that you keep them lubricated to ensure long life. Ceramic bearings run smoother with less friction than regular bearings, and should last three to four times as long. We highly recommend the use of Tri-Flow Teflon based bicycle lubricant for ceramic bearings. Teflon lubricant works the best as the Teflon will impregnate the balls for longer life.